Parking for Cinque Terre & Portovenere. Where to Stay. Since La Spezia is the transportation hub for its province, we had to write this article to help travelers explore this great place. So we hope it helps you, but be sure to read some of the good stories listed below like La Spezia Travel Guide - Top 10 Attractions. 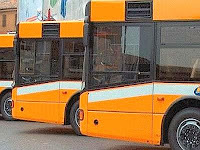 Two entities handle local buses in our area of southern Liguria and northern Tuscany. ATC in La Spezia province, and ATN (CAT) in the province of Massa Carrara. 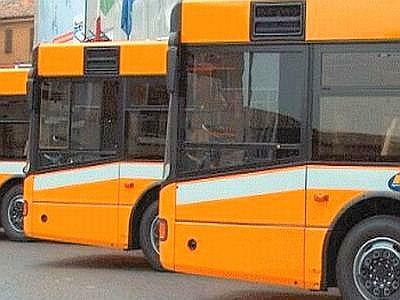 In this article we are dealing with ATC La Spezia which covers the La Spezia, Portovenere, Lerici, Ameglia, and Sarzana area, and also runs some buses to Aulla and Carrara. ATC La Spezia has good internet functionality and you should be able to find all the bus info you need with a modest effort, as well as a good deal of information on other related topics. ATC La Spezia handles many aspects of transport in the larger La Spezia area. 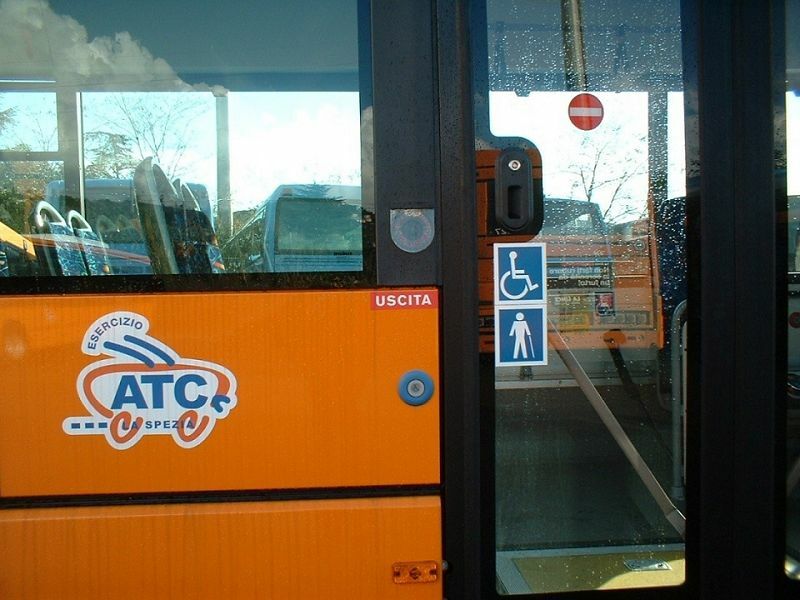 The main website ATC Home is also in English, and provides a broad array of info - some bus information and links to more; material on parking areas in La Spezia - some with special bus connections; links to boat and ferry services around the Gulf; a link to integrated Ligurian transport information; a Google map function that shows available ATC transport possibilities between addresses; etc. If you are living or staying in the area, we suggest you investigate this resource even if you don't take buses often. 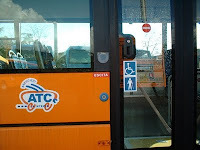 A separate ATC website ATC Buses is also in English and provides detailed bus info, including a download of the current Orario (schedule); special notices (of a strike, say); info on connecting mobile devices; ticket seller locations; a Google function that provides bus route info between addresses; etc. If you download, bear in mind that the schedules or for one season, for example April 1 to June 15, 2016. Though one can't determine a schedule beyond the current time period, they don't seem to change much. This underlines the need to recheck your information before setting out. We suppose the current schedule can also be purchased at an edicola (news stand) as with train schedules, but we can't verify it. ATC Schedules. For more detailed bus planning, see the ATC Website - where you can get a full or partial timetable and bus and parking info. There's also an ATC Trip Planner which will determine the route from your desired origin and destination and display it on a map.. Remember that the schedules do not name every bus stop (for the precise route, click on the blue bus icons of the Google map which will yield a box with bus routes and times at that bus stop). There are at least two schedules for each route and often some small type at the top of the page clarifying the entries. Note that the word 'Feriale' in Italian, meaning workday, sometimes may not include Saturday, depending on context. However, in the ATC schedules, 'Feriale' DOES include Saturday UNLESS it is modified in the Legend at the top of the page, or there is a separate 'Feriale al Sabato' schedule. In the legend, Lun-Ven is Mon-Fri, Lun-Sab is Mon-Sat. 'Festivi' means Sunday and holidays (and Saturday if it is explicitly excluded from Feriale). 'Schol' (Scholastico) means school days, and 'Non-schol' means non-school days. The type color of these words corresponds to the type color of the schedule entry. The periods of 'schol' and 'non-schol' are defined at the beginning of the schedule. The schedules are not as hard to read as it sounds - honest. ATC Fares & Tickets. Fares are by distance and are divided into codice (codes). Each origin-destination pair has a codice, but we can only find a partial list Codice Sample. For example, La Spezia to Portovenere is 3, to Lerici 3, to San Terenzo 2, to Le Grazie 1, within La Spezia 1. If you can't guess the codice, ask at a sales point. For each codice, you can buy singles, and you can buy 8 trip tickets, and there are more options travellers don't care about. The rates are a bargain, see ATC Fares. Tickets are purchased before you board at a few self-service machines (singles only) or at any Poste in La Spezia province or at small stores, bars, and newsstands that display the ATC logo. ATC Ticket Sellers are listed here. When you get on the bus - front or back, you MUST validate the ticket in a little machine, which prints the time and chops off a little piece of the ticket. Otherwise, you do not have a valid ticket, and can be fined on the spot. Many Italians won't be using the little machine because they have monthly passes. Two people travelling together can use an 8 trip ticket, IF they validate it twice. A higher codice can be used on a lower codice trip, but not vice versa. (As per the comment below, realistically speaking the chances of being fined for no ticket or the wrong code are pretty low, especially outside crowded areas. Try to be good, but sometimes you gotta do what you gotta do). Boat trips to and between the Gulf of the Poets towns of Lerici or Portovenere or to the Cinque Terre are highly recommended. They are available in combinations to suit every traveller. The boats run from about the end of March to the end of October. In 2014, they are starting March 29. The official schedules are on the Maritime Coop Website but not until the season nears. 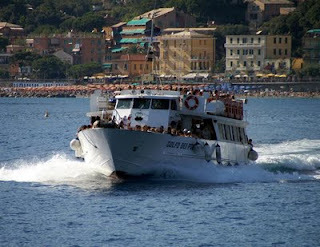 Fortunately for you, we have archived the schedules in this article Cinque Terre Lerici Portovenere Boat/Ferry Schedules. The boats leave from the western end of the Passeggiata Morin which is the waterfront promenade. This bay, its towns, and its landscapes have been justly famous for centuries and they are yours to enjoy for mere money. Link: Where to Rent a Car from Cinque Terre? Also useful for Portofino area. We advise getting your car from one of the companies with the fewest problems reported (Avis, Europcar, Hertz, Autovia, Budget) either direct or via a reputable car rental broker such as AutoEurope (NOT autoeuropa, ending in 'a'). The advantages of using AutoEurope are the added services without paying more - low price guarantee; 24/7 help before, during, and after the rental; easy changes and cancellation; as well as available less expensive zero excess (deductible) insurance. ** If you find our efforts helpful, you can thank us by making your reservation through these links -using the links do not raise your price. Park & Shuttle La Spezia has two free and convenient Parking & Navette Page, one east and one west, with free bus (navette) shuttle service to the center (except in summer). For regular users, there are also bike-sharing stands ( see our article Spezia-in-Bici). Parking in the center of La Spezia is tight and always by payment, so this may well save you time, money, and trouble. Here is a Parking Map of all parking area around the city, both free (libero) and pay. ATC also maintains an Italian language Parking Website though it is less useful than it should be. Centrale Train Station. There are 116 modern parking spots available at the central La Spezia train station with an entrance from Via Fiume (next to a large golden yellow building). This gives travellers to Cinque Terre a secure option. Parking can be reserved by registering at Centrale Parking. The rates in 2018 were 1.50 Euro per hour or 18 Euro per day with reservation and it's open 24 hours a day. Click the photos to enlarge. Your ticket also is good for 2 people on an ATC bus for up to 2 hours. It also provides access to large clean restrooms. The parking has video surveillance, but do not ever leave valuables in the car and do not leave all your baggage overnight even if hidden. Free Parking at Palasport (East) and Piazza d'Armi (West). Approaching the city on Via Carducci after leaving the A15 autostrada, the free Palasport parking area is is a right turn at the first traffic light (small sign) on Via della Pianta. You'll see the sign as you turn, and the lot is on the left, and the bus stop is on the street behind the sign. (Note: Don't count on the bus, info has been impossible to find 1/2019). The lot is huge, and when your friendly test dummies used it, it was only half full. The free Piazza d'Armi lot on the west side of town is on Via XV Giugno a small street off Viale Amendola (opposite the Q8 gas station). There are directional signs in the adjacent intersections. This lot is within walking distance of the train station and open market, but there is also a free shuttle (except summer, see above). Because it is more convenient, it is also more likely to fill up. The only advisory we have concerns the return. In the center of town, the service (Navetta or Speedy Bus) had limited signs at the bus stops. Therefore, before you exit, confirm with the driver where to wait for the return bus. At midday, the headway (time between buses) was 20 minutes, and it's less at rush hour. Parking for Cinque Terre Boats. Several hundred parking spots are available at Porto Mirabello just a few minutes walk from the Cinque Terre / Portovenere / Lerici ferry boat dock. This is La Spezia's new private boat facility, and it's reached on foot via a suspension bridge at the western end of Passegiata Morin. The auto entrance is further to the west. The cost in May, 2014 was .50E per hour, including overnight. The facility is spanking new and under video surveillance. Parking Map: Porto Mirabello. Cinque Terre The best way to get there is by train, and there's a Trenitalia link below. For an enjoyable relaxing trip, do not drive to the villages unless you've arranged with your hotel! The roads are narrow, there are many tight hairpins, parking is limited in the extreme, and trains are much easier and quicker. Also consider taking a boat and seeing Portovenere along the way (see above). The National Park website for the Cinque Terre has good intentions, but as it is technically erratic, try this Entry Point as well. Further, the Cinque Terre are subject to landslides from time to time, so monitor info as your trip date approaches. 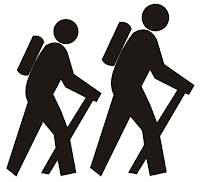 A few trail closings are not a big deal as there are many trails - read what the local blog Little Paradiso says about this. Also look at Trip Advisor Liguria Forum for recent information. Tellaro If you want to visit a nice former fishing village without the crowds (relatively) in Cinque Terre, visit Tellaro, just down the Gulf from the beautiful town of Lerici. The Tellaro road is too small for tour buses! It is reached by bus from Lerici or by hiking. La Spezia Beach Sorry there's nothing in town. Your best bet is a bus to Lerici's beaches or a ferry boat to the Island of Palmaria. Integrated Ligurian Transport Planner For Ligurian travel beyond La Spezia province, this may help you make connections, as it combines Trenitalia with local bus operations. Trenitalia For train schedules and tickets. A train from La Spezia is the best way to get to the Cinque Terre. The trains are frequent, so don't sweat it unless you're getting there early or late. Buying a ticket online might speed things up at the station. Where to Stay -Use this Booking.Com.Italy link to find your hotel anywhere in Italy. Below are links to our La Spezia hotel recommendations. The downtown grid of La Spezia is not huge, and there are no especially trendy or dangerous neighborhoods. Parking is tight in the center, though. Considerations: train access, Cinque Terre ferry, parking, budget, shopping, museums. Hotel Crismar Great location in the center between the train station and the port, on the pedestrian shopping street. Loan bikes, small, friendly, no hotel parking. Economical to Moderate pricing. Albergo delle Spezie Close to the port, ferry dock, two museums, and the public gardens but still downtown with a funky, eco-friendly vibe. No hotel parking. Economical to Moderate pricing. Hotel Birillo On the edge of town, yet close to the ferry dock, the market, walking distance to the train. Small rooms, friendly staff. No hotel parking. Economical pricing. CMH My One Hotel A larger business hotel, right in the center of town with a multilingual staff. Walk to the train. Parking can be arranged. Moderate pricing. Hotel Corallo A larger hotel. It's a manageable walk from the center, but close to the harbor with available hotel parking. Economical to Moderate pricing. Part 1 Liguria Hotel Guide & City Selector Cinque Terre South. Part 2 Liguria Hotel Guide & City Selector Cinque Terre North to Portofino. Castle to Castle Along the Gulf of the Poets All about Lerici across the Gulf - exploring, parking, hotels.